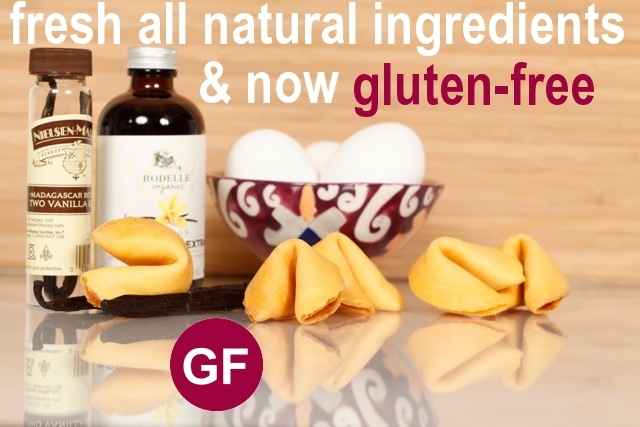 Our gluten free Fortune Cookies are a natural vanilla flavor, baked fresh with real ingredients and individually wrapped. Custom fortunes are included in every order, with full color & double sided imprinting available as well. 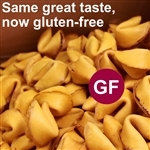 Traditional Vanilla Gluten Free Fortune Cookies - Each of our traditional vanilla flavored fortune cookies is made fresh right here in our fortune cookie bakery. We use an old fashioned cookie recipe with real vanilla as the main flavoring. 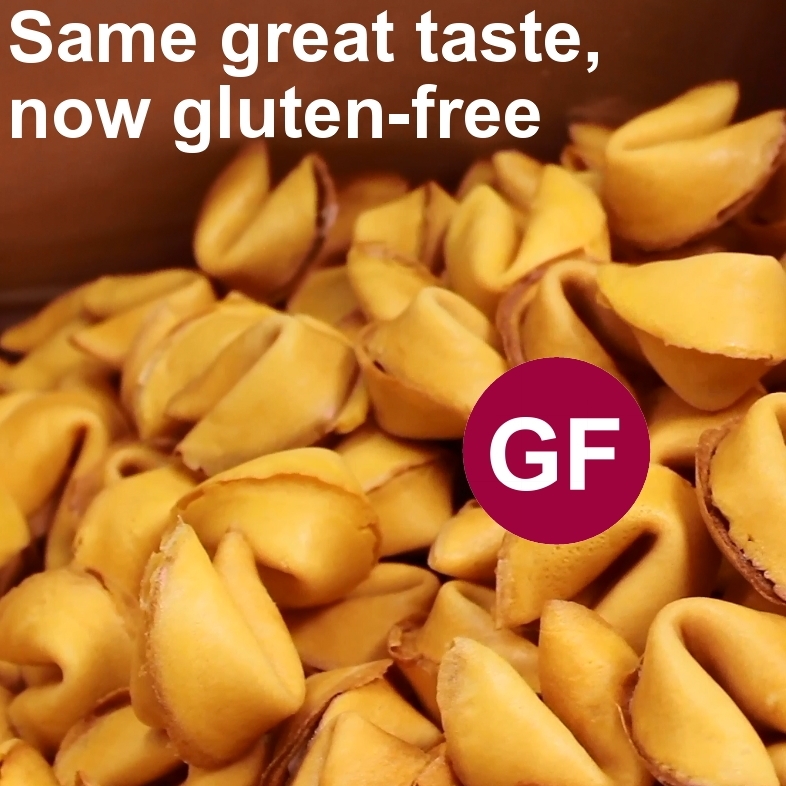 Our family owned bakery uses fresh eggs, gluten free flour and real cane sugar, making our gluten free fortune cookies the best tasting fortune cookies you've ever had. 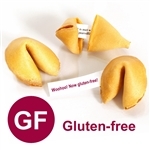 Since, our fortune cookies are baked fresh, they arrive crispy and tasty at your door. Some people say the gluten-free version tastes better than regular fortune cookies! Oprah, Seinfeld, Kate Bosworth and QVC can't all be wrong. One taste... and you'll be hooked too. Helped facilitate an order for overnight and product was perfect and delivered next day. Can't thank you enough for your kind customer service. We know where to go for future reference! What a treat for my Gluten-Free son! We used Fancy Fortune Cookies for "secret" messages for my son's Secret Agent party. They were the pefect touch! Crisp, fresh and delicious. Thank you, Fancy Fortune Cookies! The cookies arrived at a perfect time for our event. There was lots of other food after our race but the runners who got some cookies loved the quotes inside. Once a few people realized there was a trail run saying inside more people wanted to eat them. It was fun! Everyone LOVED your cookies! They tasted wonderful, almost like the best kind of chocolate gourmet candy! And of course they loved getting fortunes too. 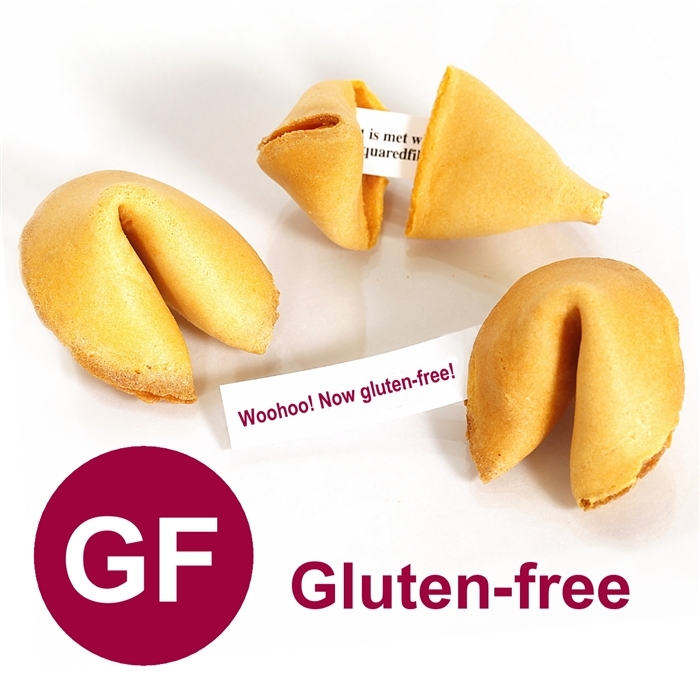 Many weren't aware they were gluten-free! Thanks for perfecting your recipe, and for dipping and drizzling the fortune cookies with three kinds of chocolate!